Today the Company Magazine Style Blogger Awards are upon us and if you do not know TheBambooDistrict.com is a finalist for their Best Designed Blog Award! The awards are being held at the Truman Brewery in Brick Lane London and too be honest I have no idea what to expect. I was taking a peek through twitter and looking at the awards hastags and it seems that a lot of the nominees are going all out with their outfits...uhoh. However, considering I am probably about 10 years older than the average person there and I am coming from work I am not stressed about going over the top with my look today. I have opted for an old Bamboo tie dye fringe t shirt and some high waist slacks. If I do end up winning...let's just hope I do not do a Jennifer Lawrence at the Oscars! This Bank Holiday weekend the lovely people of Benjart Clothing will be back at Wembley Retail Park with their Pop Up Store. I was there at the last sale in April, helping out and taking photos and it was such a success that shoppers have another opportunity to come and cop some pieces in person, instead of the usual way via their online store. New releases will be available and some sale items too so COME ON DOWN!!! Visit their website for full info. I do love to eat. London is the best place to find any type of cuisine and it is top nosh too. Burgers, Thai, Lobster and Roasts... you name it, I've probably shoved it in my mouth. However im finding that with the persistent winter vibe wafting in the air, my lack of motivation for outdoor activity, then paired with my nom nom nomming of everything has inevitably led to some pudge around the ol' tummy. In the past when London experienced real, consistent summers, I really enjoyed eating salads, even boring ones. Now, when I find that I really need to eat more raw veggies and fruits then anything else... it's actually quite difficult! I think I have the eating version of S.A.D (Seasonal Affected Disorder), Winter = stodge, Summer = health. How else can I explain it. Anyway, today when I was carrying out my usual Pinterest perusal it presented me with quite a few tasty looking, and healthy food options which I am hopefully going to try soon. They too were so pretty I thought I would share them with you lovely folk aswell! Do you have any recipes that are healthy and yummy that you think I should try? There is no doubt whatsoever when it concerns my adoration of this woman's music and style presence. Solange Knowles has teamed up with cool trend led site Refinery29 to create this video of her donning her amazing outfits, showcasing the cute haunts of South Brooklyn all to the soundtrack of her own song "Locked in the Closets". This video will make you like her even more and for me, to add to my outfit love for her...her freakin home looks envious too. The Queen of prints and colour! Ugh. She. Is. Perfect. After a month of umming and hmmming I finally decided to go for the chop! No, not the whole shebang, just my fringe. I have had a fringe for a long time before but this past year I decided to grow it out, in the hopes of doing more 50s starlet style hair, which rarely ever happened. That said I brought fringey back, and it was a great excuse to pop in to Windle and Moodie a hair salon in Covent Garden. If you are looking for a new salon and in the London area why not try this one, I used to work here too! It's an amazing place with great stylists. I went to see the lovely Sergio as he cut me the most perfect fringe back in 2009, it was a Betty Page super sharp number and as that was the fringe I wanted back, I knew he was the man for the job. Everyone at the salon is good but if you were to see Sergio you are in good hands! 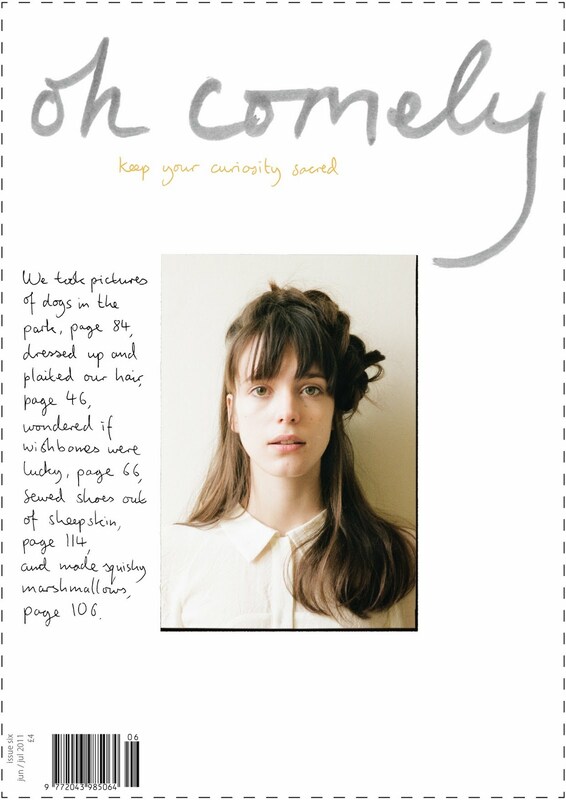 A familiar backstage at fashion week shows, and the proud stylist of Magazine front cover looks like Issue 6 of Oh Comely magazine he will leave you with a style you love. Seriously, go see him.